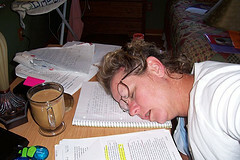 Tip #1 – Don’t fall asleep while studying! Photo by Dean+Barb via Flickr Creative Commons. A veteran nutrition support clinician who has taken the CNSC exam five times shares tips for first-time test takers. Are you ready to sit for the CNSC exam this year? Just in time for the 2014 fall testing period, Lorraine Franzi weighs in. How does someone who plans to register for the CNSC exam know if they’re ready or not? Sometimes it seems like no matter what you do to prepare you’ll never feel ready enough to take the test. Other times you are ready to go and feel like you can kick back and relax until the big day arrives. I’ve taken the test 5 times spanning 25 years, so I have a pretty good idea of how a clinician can feel confident that they’re ready to register. Determine which specific topic areas you have never had the chance to actually work with hands on, and then pursue ways to obtain firsthand working knowledge of that task. 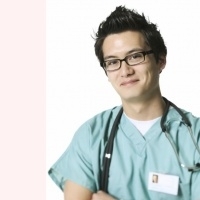 For example, if you are responsible for writing PN orders for inpatients but have no experience writing orders for outpatients, shadowing the CNSC who writes the outpatient PN orders would allow you to become familiar with the conditions required for a patient to be approved for home PN care. Shadowing a CNSC could also enable you to understand the process standards required for home PN patients (eg, determining the most appropriate central line to be placed and how to insert one, cycling the PN script, and arranging for proper placement after discharge). While shadowing the outpatient CNSC would be helpful, more in-depth learning is possible if under supervision, you are permitted to take care of a patient on your own. Similarly, if you do not have practice in writing inpatient PN scripts, shadowing the PN CNSC, or better yet, writing the orders yourself with guidance will give you access to the procedures used for inpatient PN writing. This experience will also provide an opportunity to become skilled in determining what daily PN manipulations are needed for an individual patient, and experience a physical examination of the patient’s central line site, their gastrointestinal/abdominal status, (e.g. presence of ostomy output), and visualize all, if any, body abnormalities which may be related to PN therapy. Learning to manage nutrition support modalities in special disease states is vital for the CNSC examinee. Having the confidence to accurately control fluid and electrolyte balance with renal, cardiac, and hepatic failure patients will provide additional assurance. 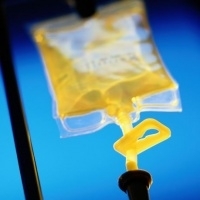 Knowledge of how and when to modify intravenous fluid formulations is also vital because quite often inpatients receive these types of solutions previous to or concomitant with PN therapy and this practice may influence the PN script. Acquiring expertise in central line infection protocols by making rounds with the PN physician or the infectious disease physician is very helpful for assessing your readiness for the CNSC exam. Having a proficiency with all EN formulations, especially disease or condition specific, and enteral inpatient protocols is needed for the exam. However, it is also imperative to know what untoward effects enteral products may induce and what steps are needed to fix the problem. Updating your current knowledge base regarding research on new preparations will provide you further reassurance that you will be ready for the test. Best of luck on your decision and taking the exam! The exam deadline for the fall 2014 testing period is August 15, 2014. If you’re ready to register, click here. If you need more time, don’t worry. The next testing period beings on October 4, 2014 and ends October 18, 2014. ← Kathy Gura Talks CNW15 – Find out What’s in Store!